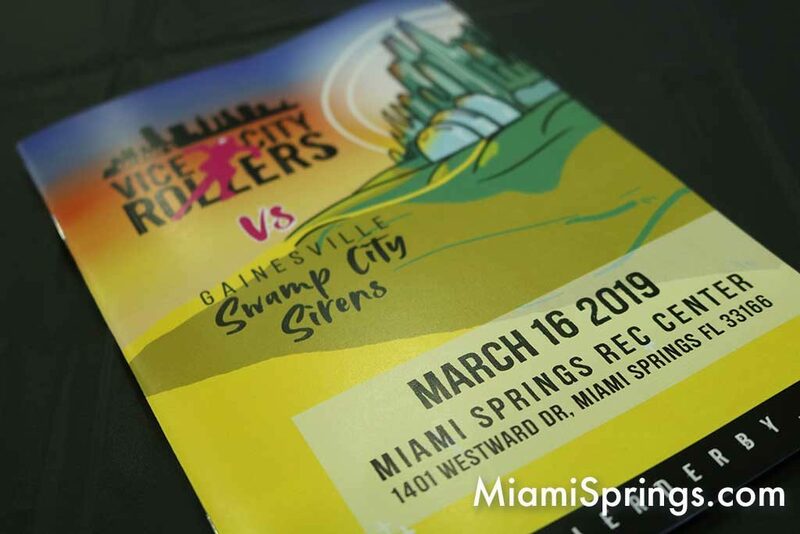 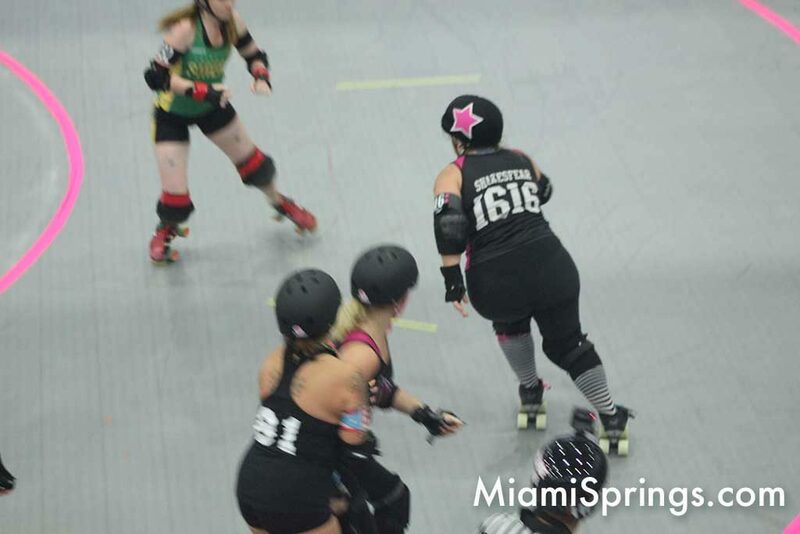 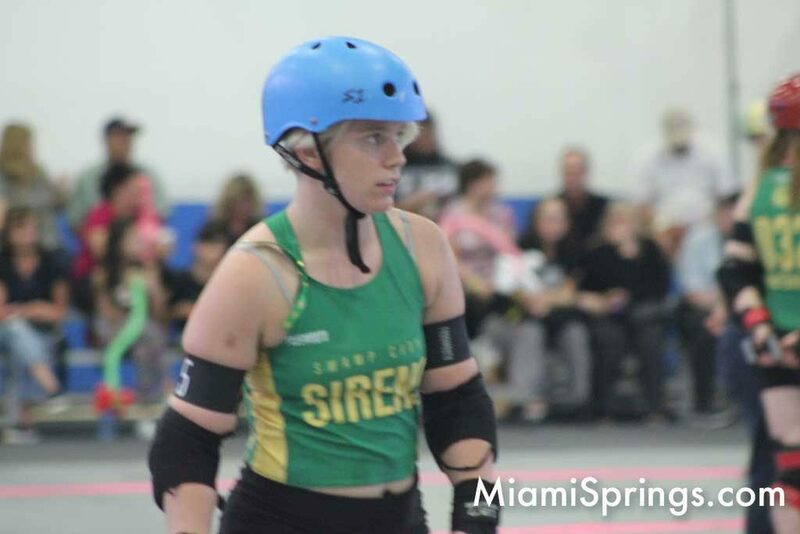 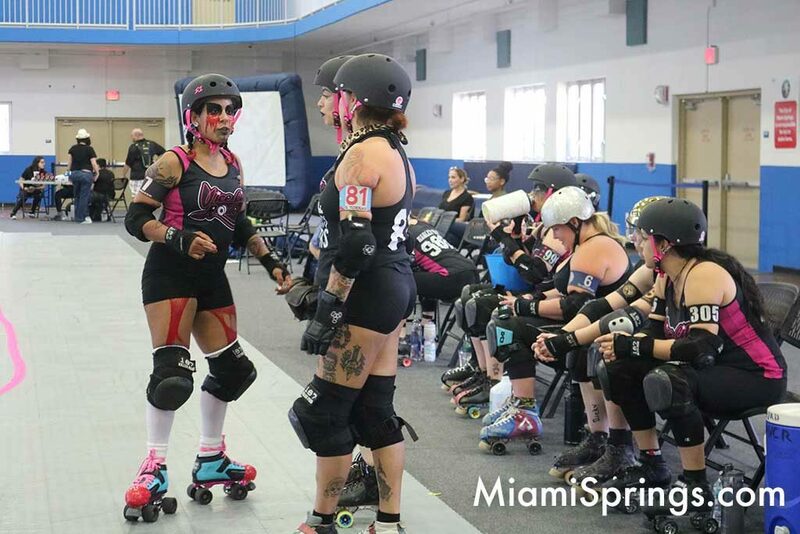 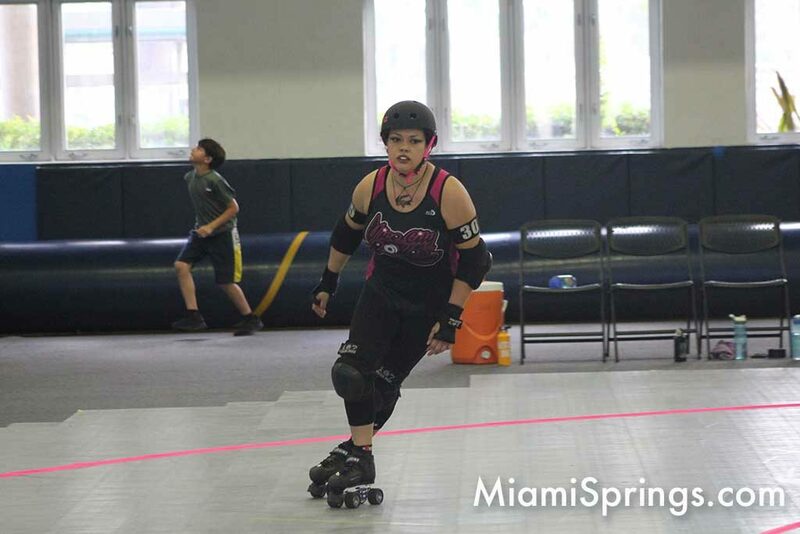 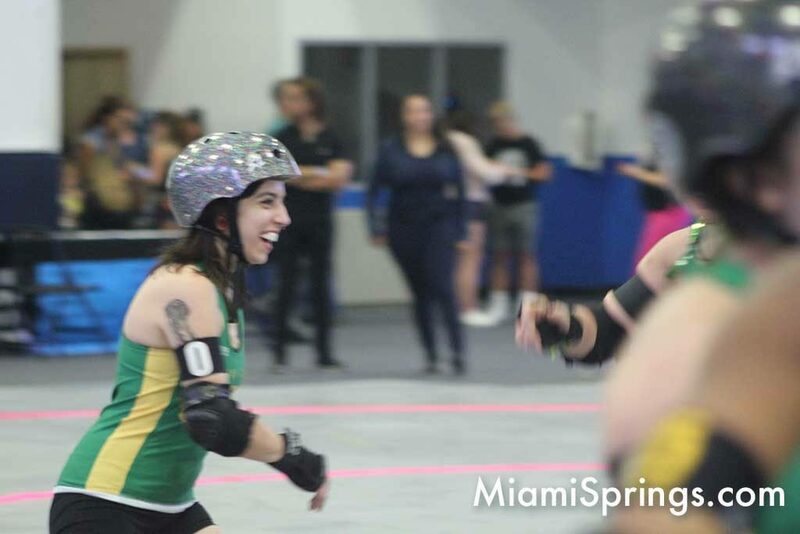 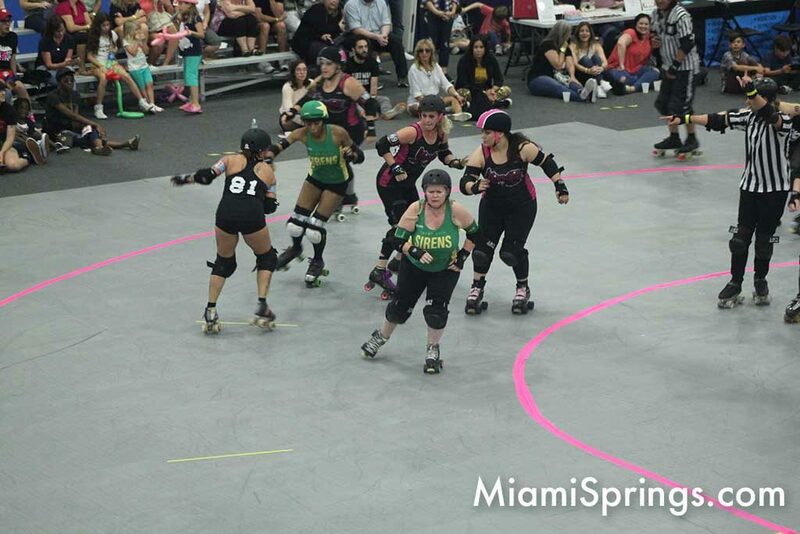 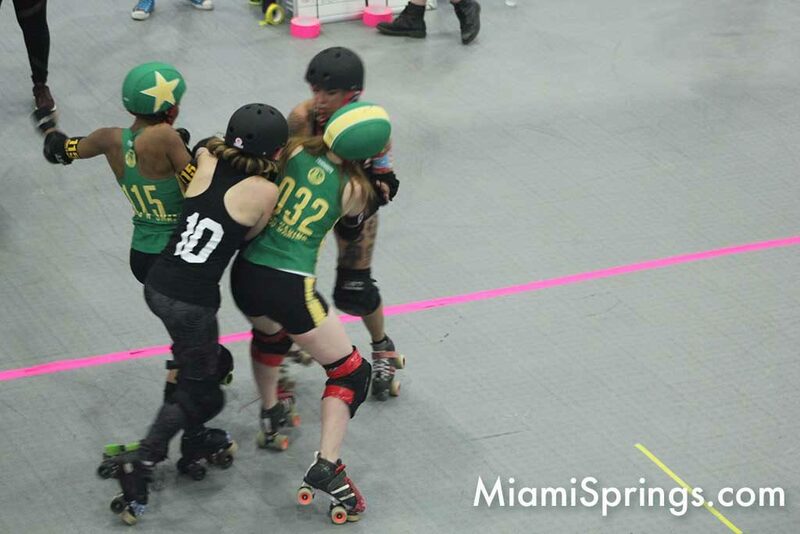 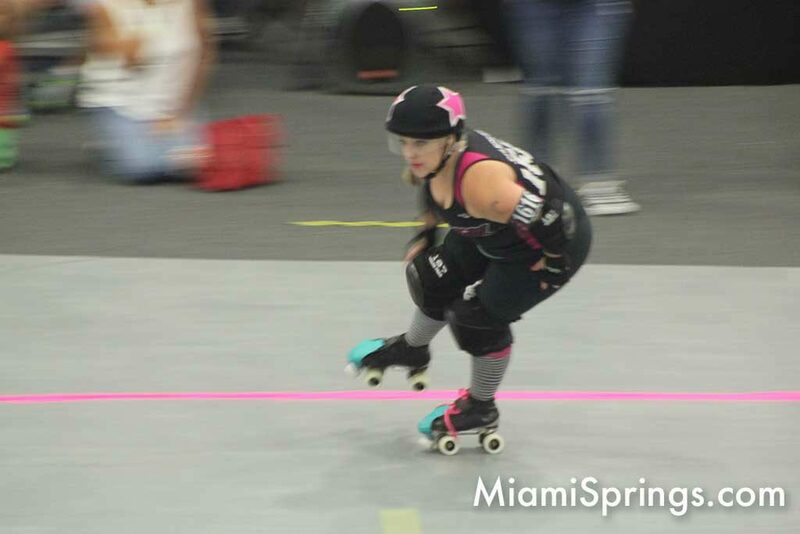 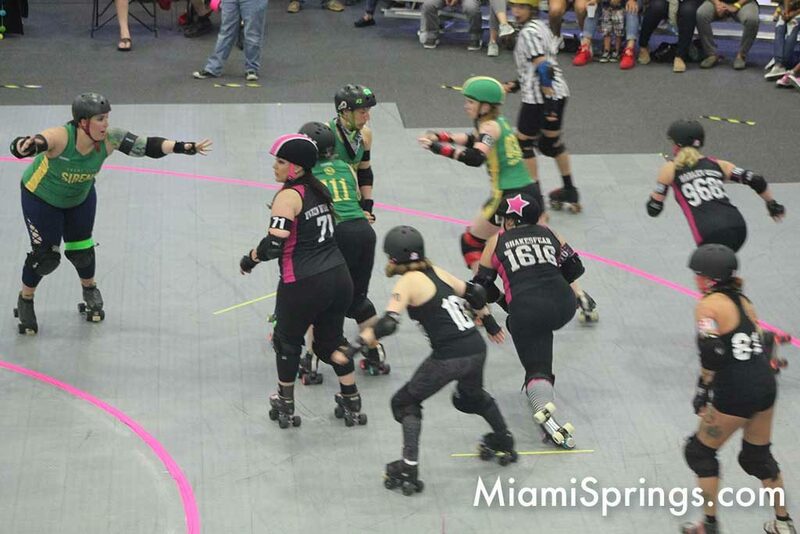 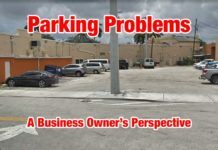 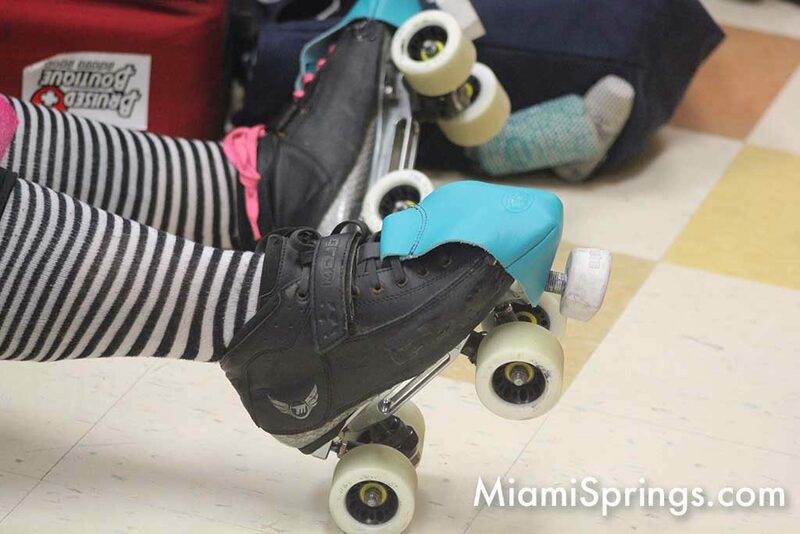 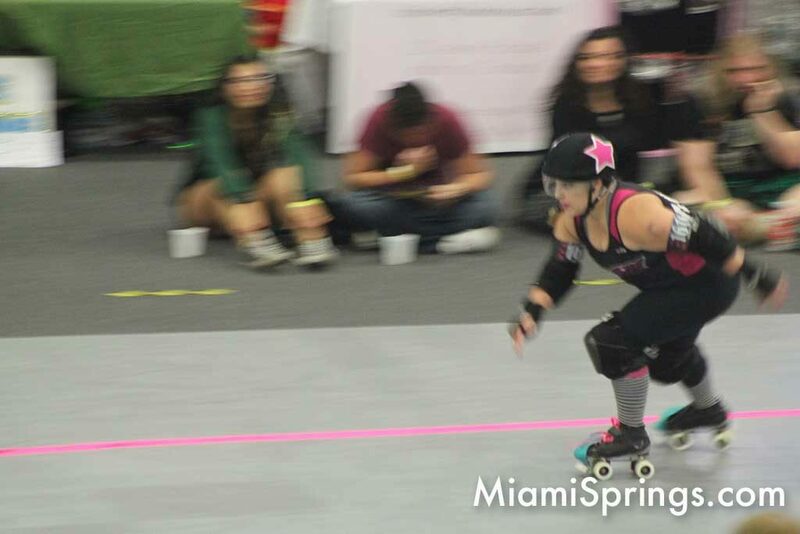 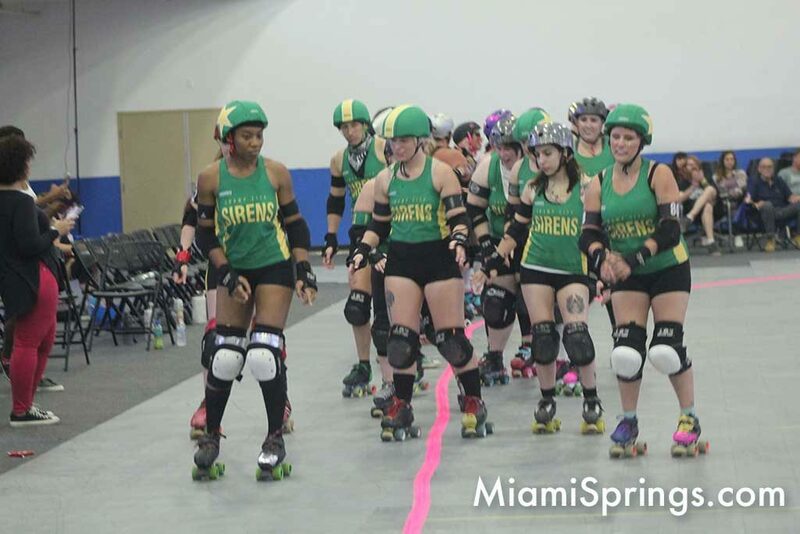 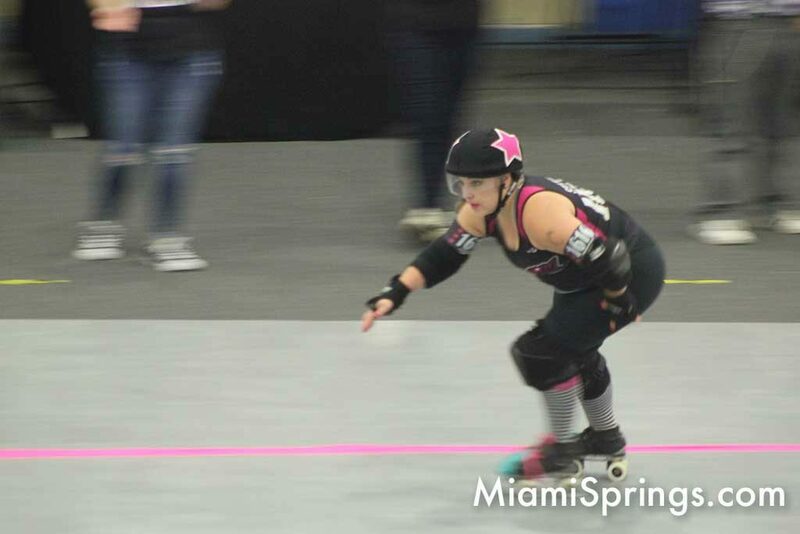 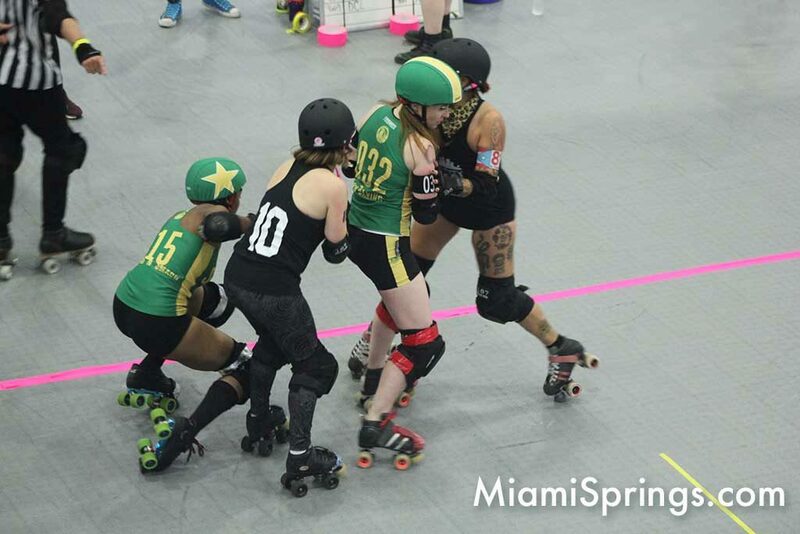 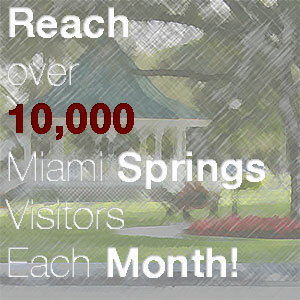 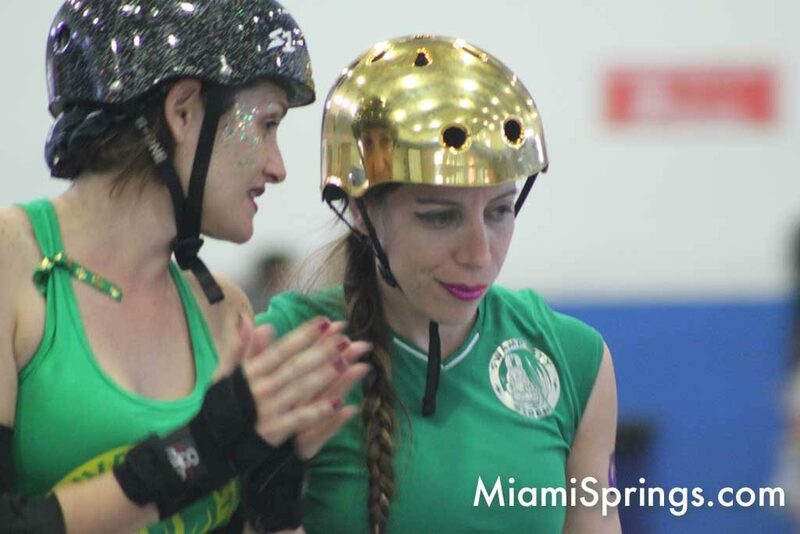 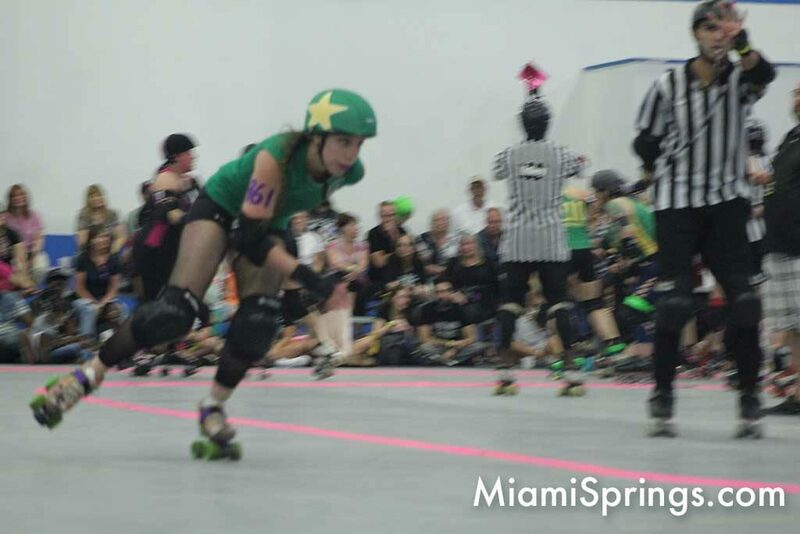 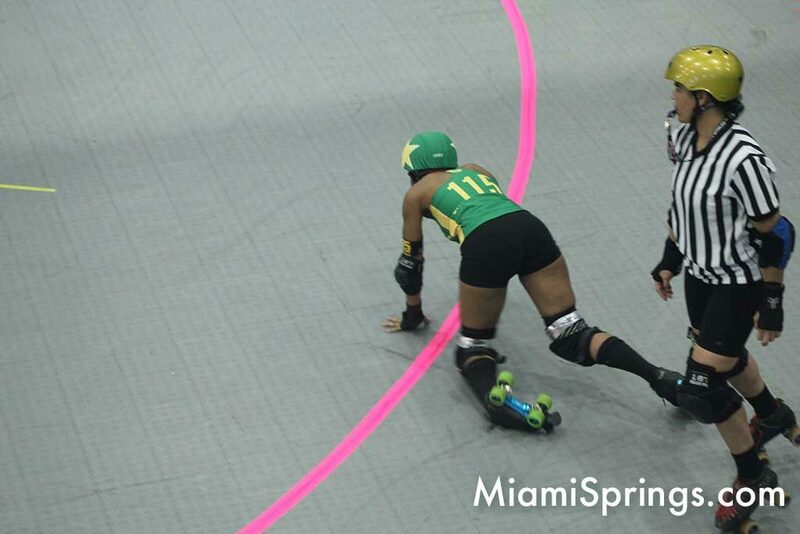 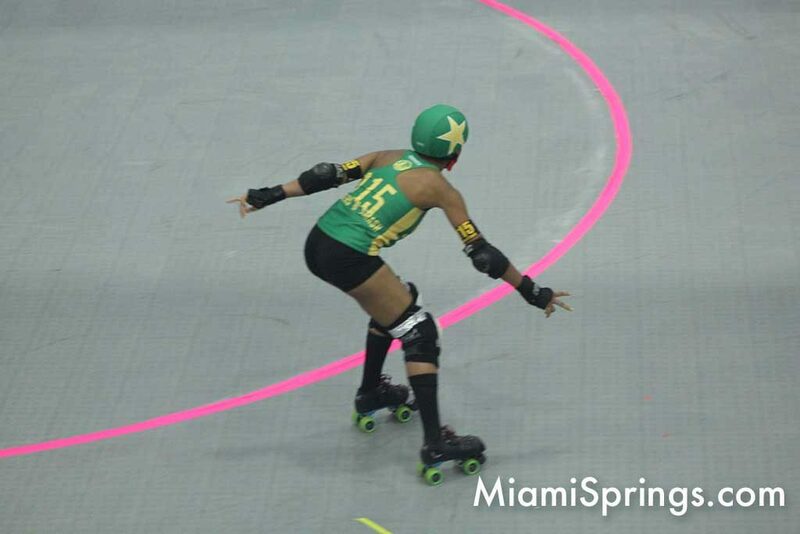 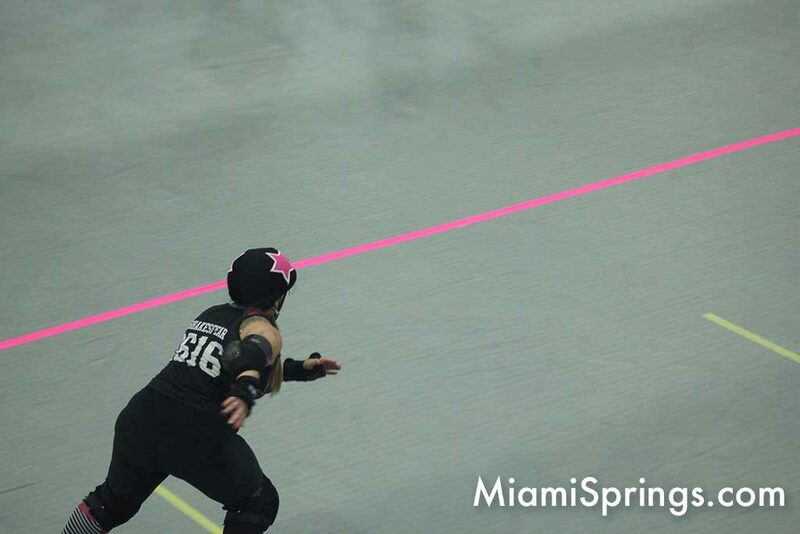 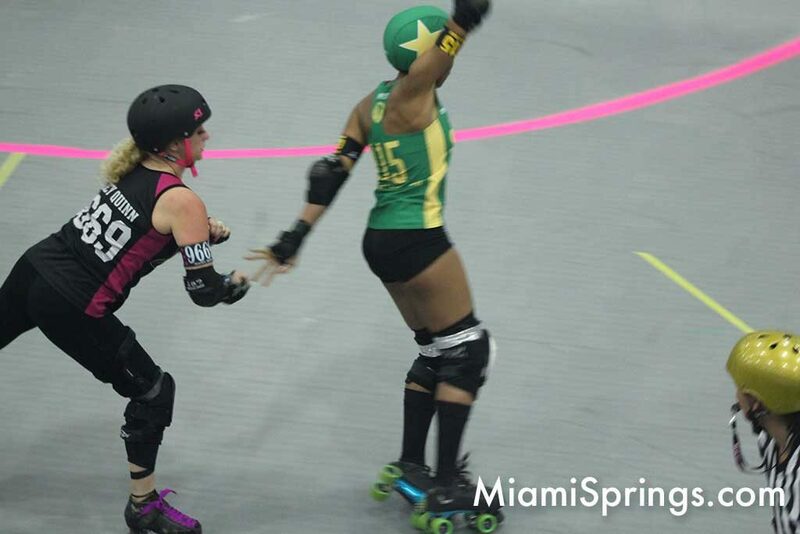 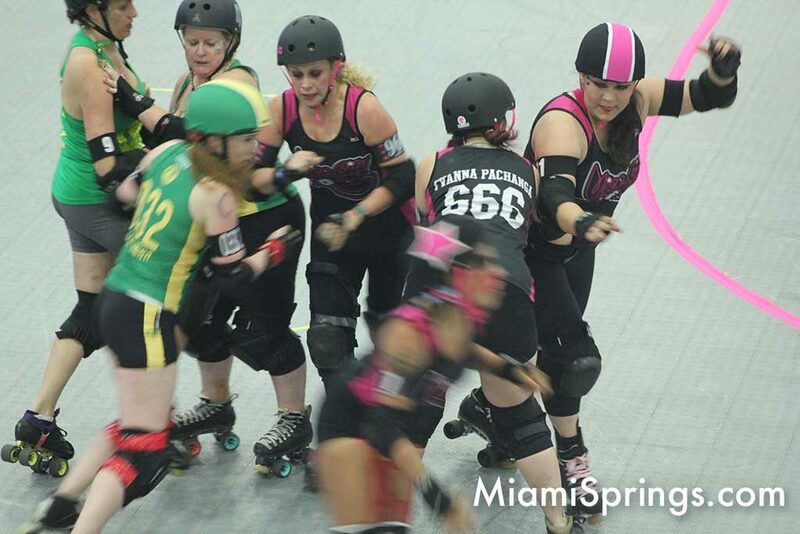 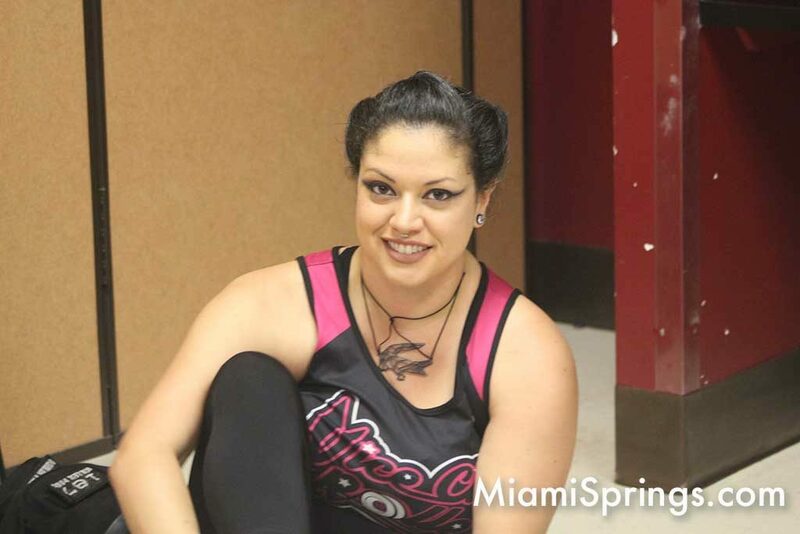 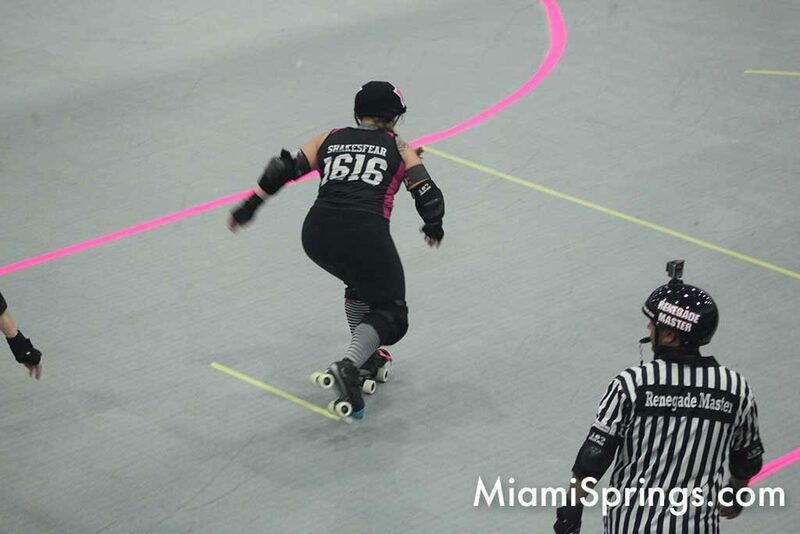 Miami’s Vice City Rollers had their debut game at the Miami Springs Rec Center on Saturday, March 16th. 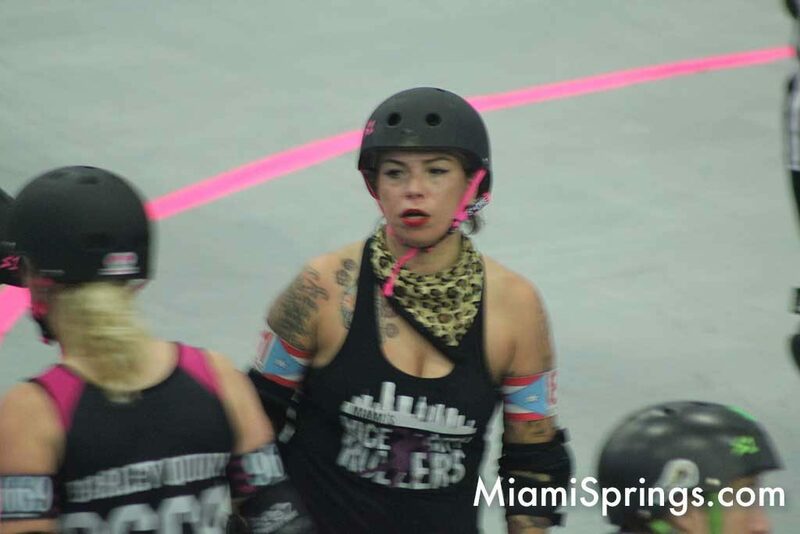 Visiting from Gainesville were the Roller Rebels. 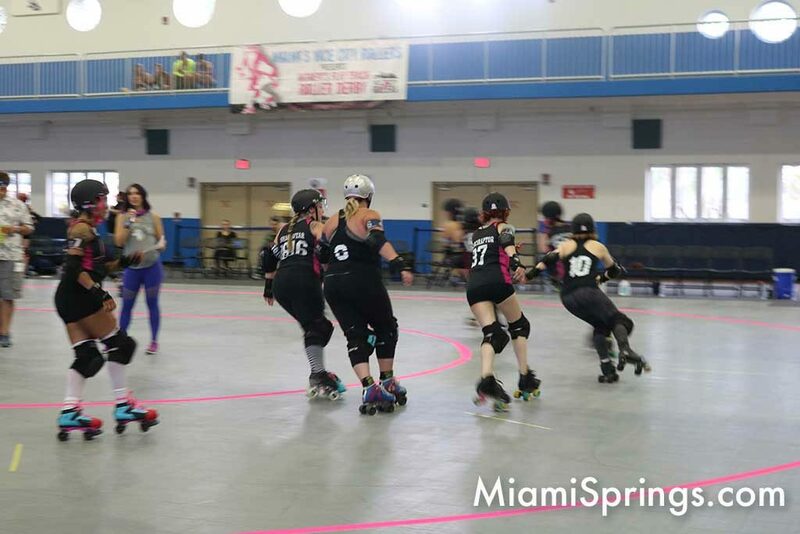 The Rec Center was packed with fans. 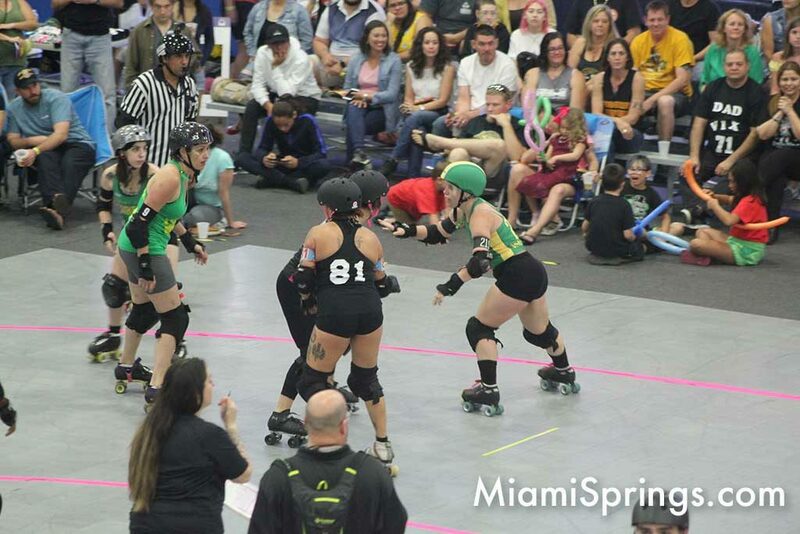 All the bleachers were full with many people sitting ringside along the floor. 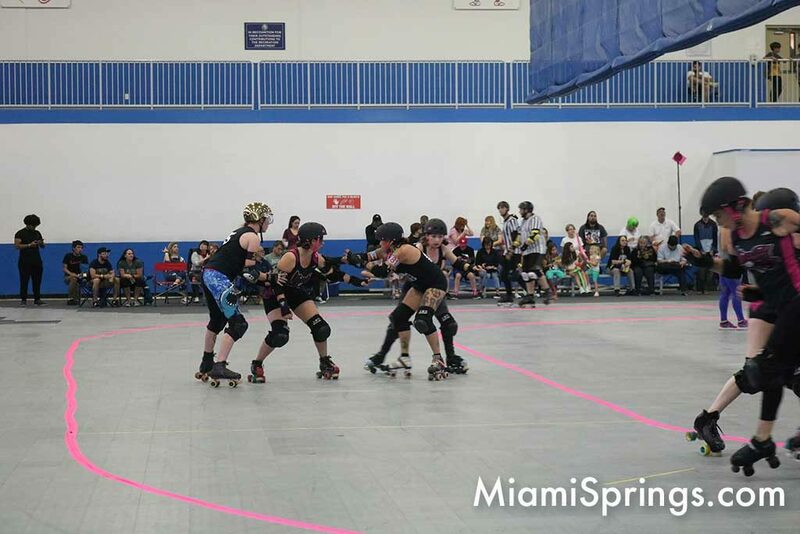 It was a family friendly crowd with lots of kids and families in attendance. 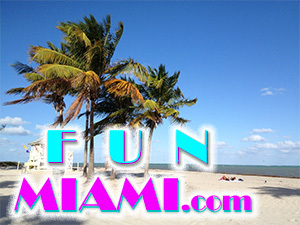 A live DJ was pumping the music keep the energy levels high. 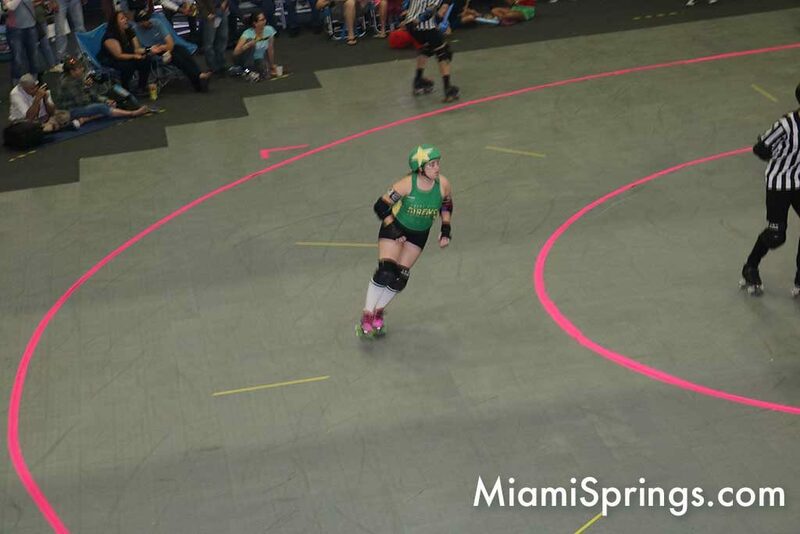 The Roller Derby league provided a modular flooring system that covers the floor of the rec center. 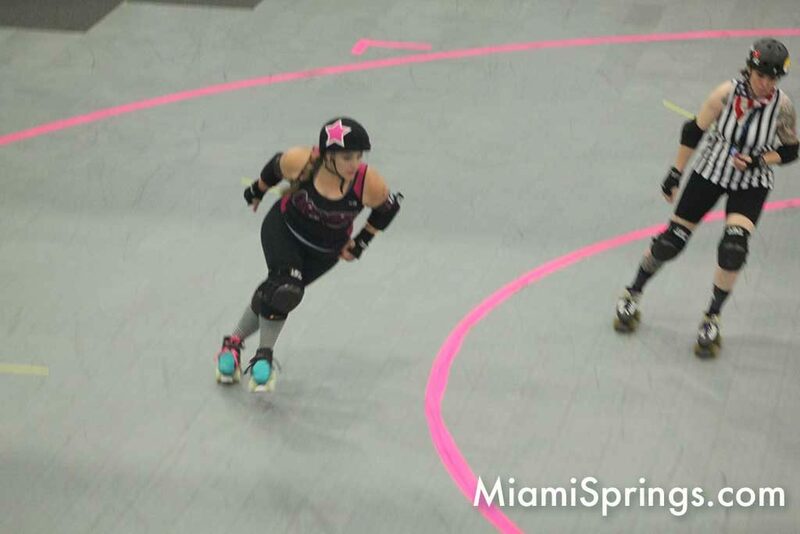 That protects the expensive flooring at the Rec Center, but also provides softer flooring for the ladies on the skating track. 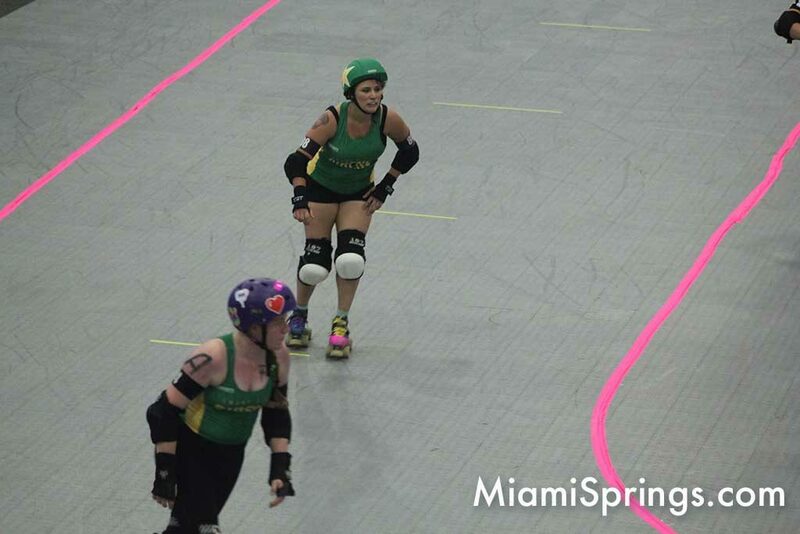 Clear markings were on the floor to keep the skaters and the crowd safe from each other. 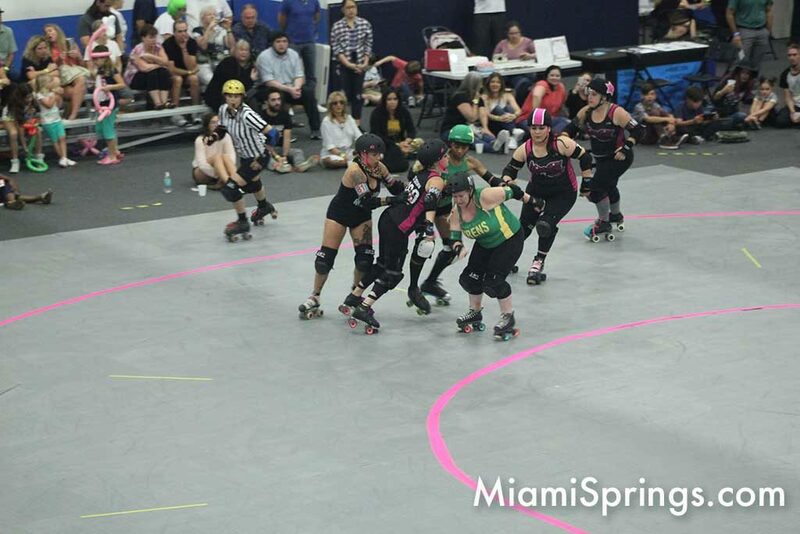 There was even a ring side physician who was on hand to support any of the ladies who got hurt in the game. 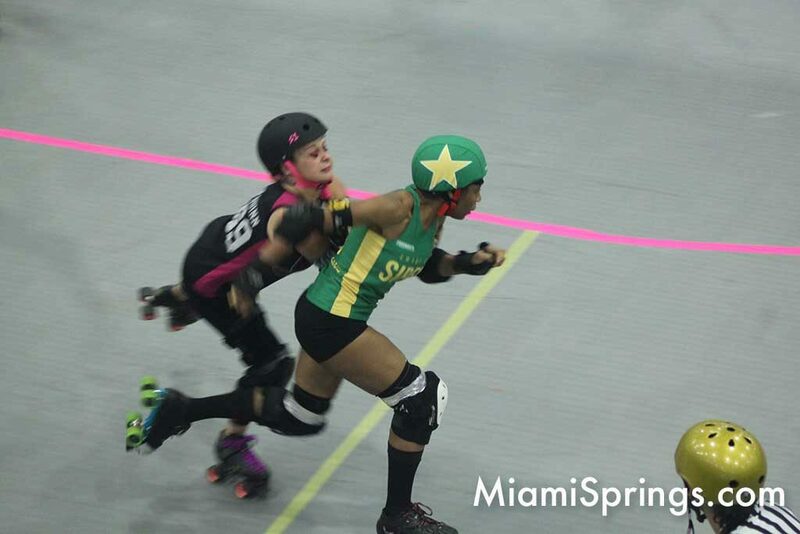 This is a full contact sport and no doubt that many of the ladies are waking up this morning with bumps and bruises. 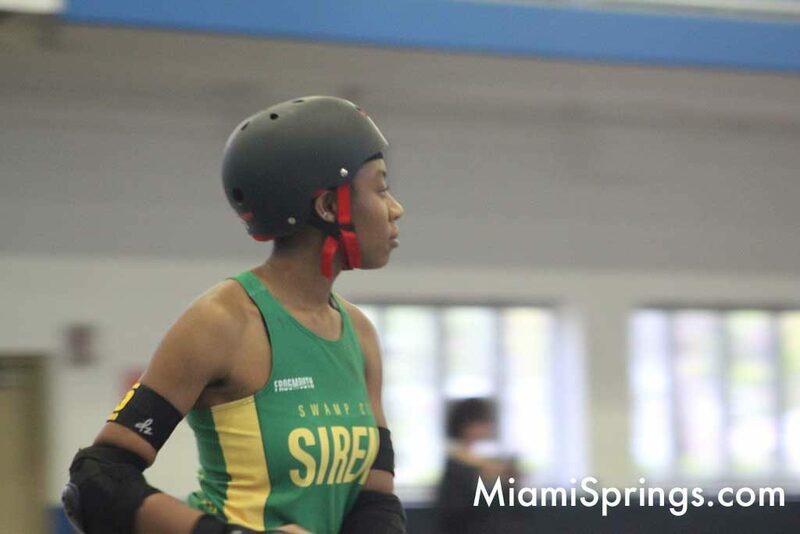 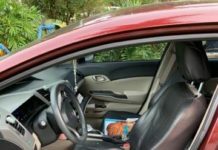 They wear a full set of safety gear including helmets, heavy duty knee pads, elbow pads, and gloves. 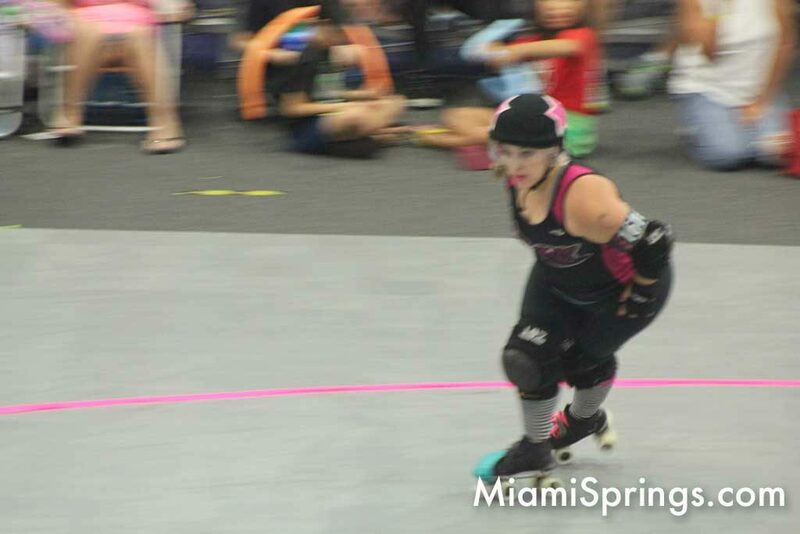 Unlike many sports where the goal of the game is to advance a ball, the goal of roller derby is to advance a player called the jammer. 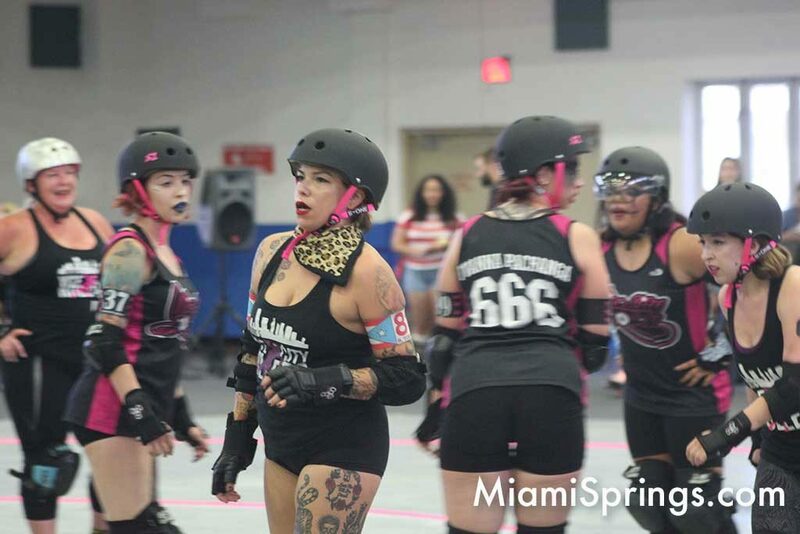 Each team has a jammer with a removable star on the helmet. 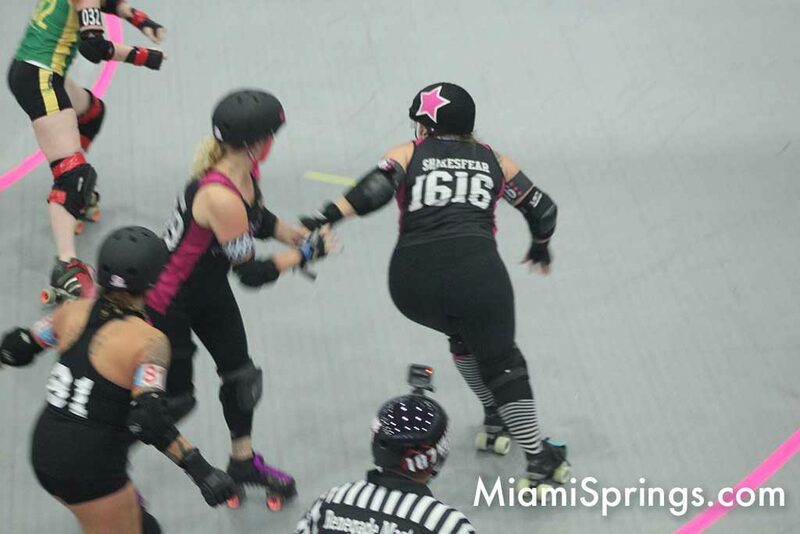 The team scores each time the jammer laps the opposing team. 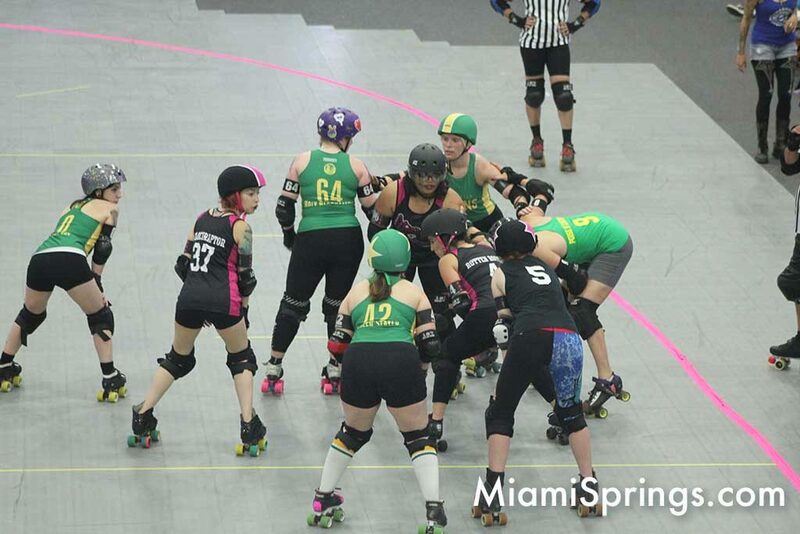 And each team has a group of blockers attempting to hinder the progress of the jammers. 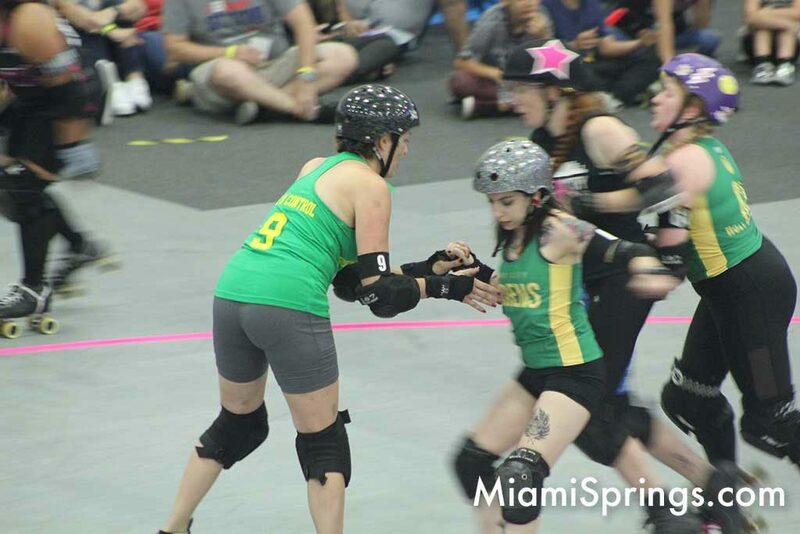 Much like football, that has different players with different skillsets and different physiques, Roller Derby has a mix of speedsters and bigger blockers. 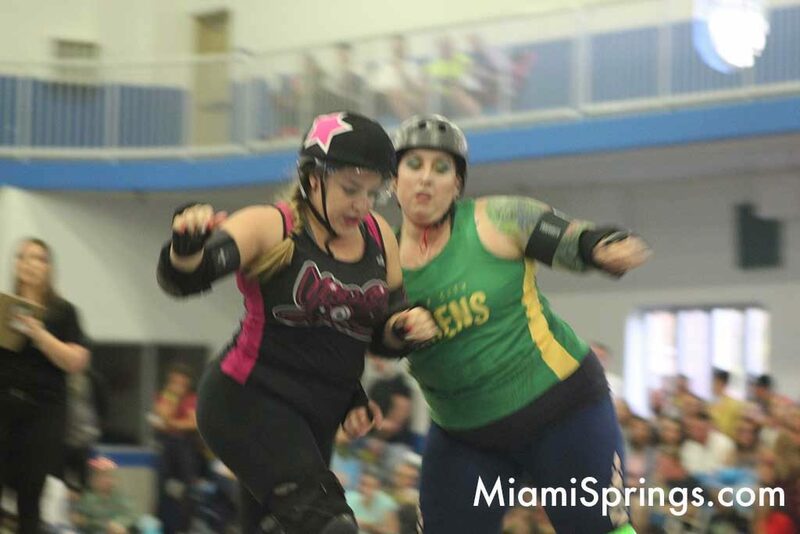 And like hockey, roller derby has some seriously big hits. 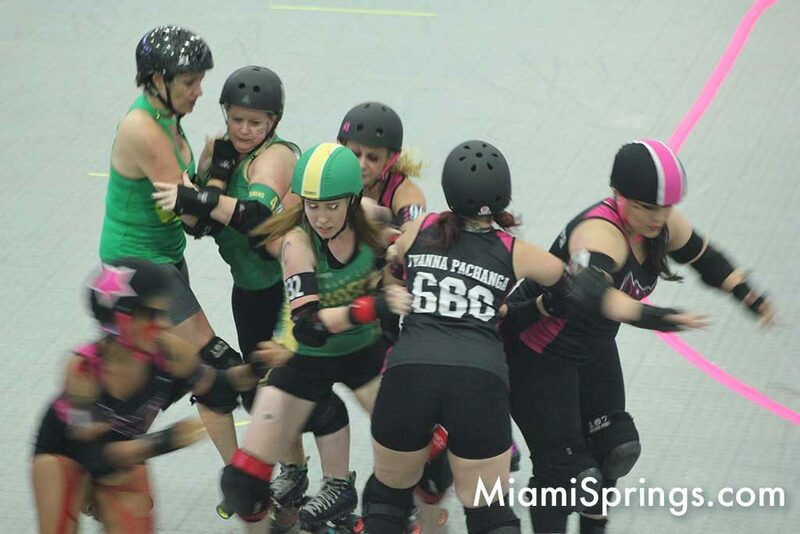 The match was fun to watch with almost constant action. 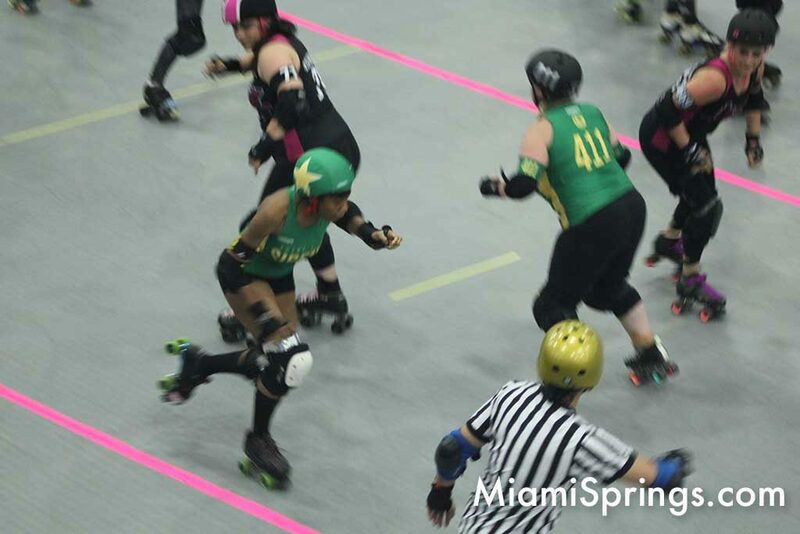 There was one referee break in the first half that slowed things down, but other than that, it was fast paced action. 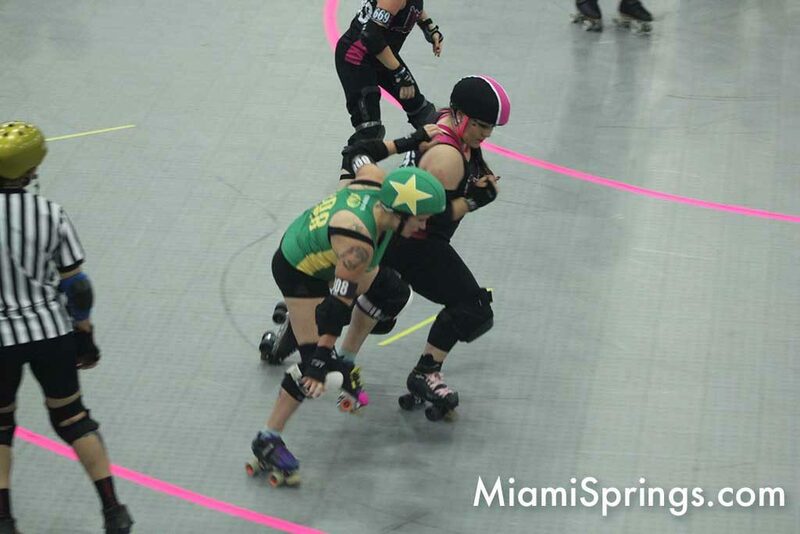 These are tough ladies who are fast, agile, and skilled. 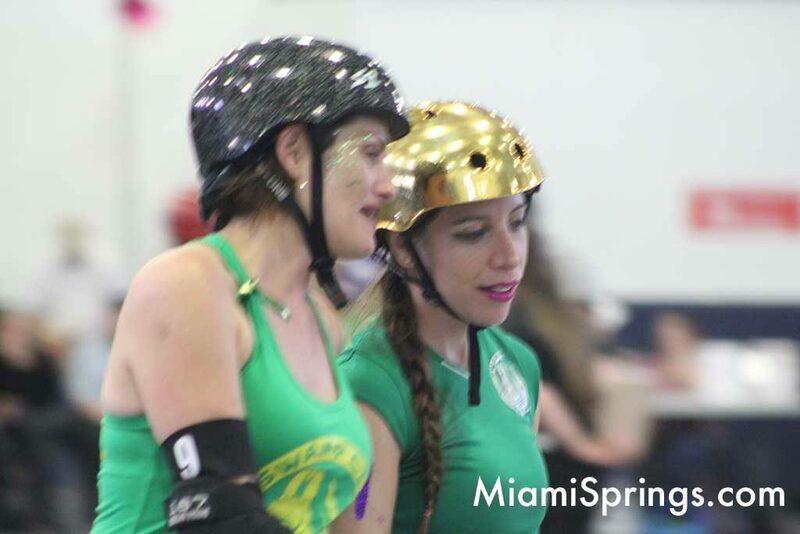 There’s a reason every lady wears a mouthpiece. 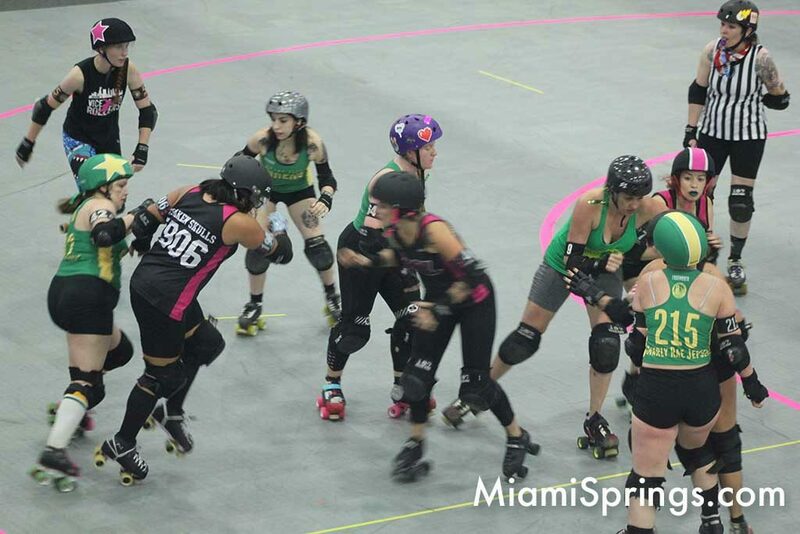 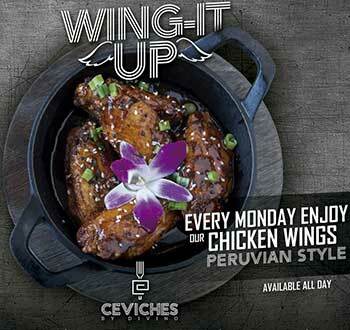 They don’t want to look like hockey players. 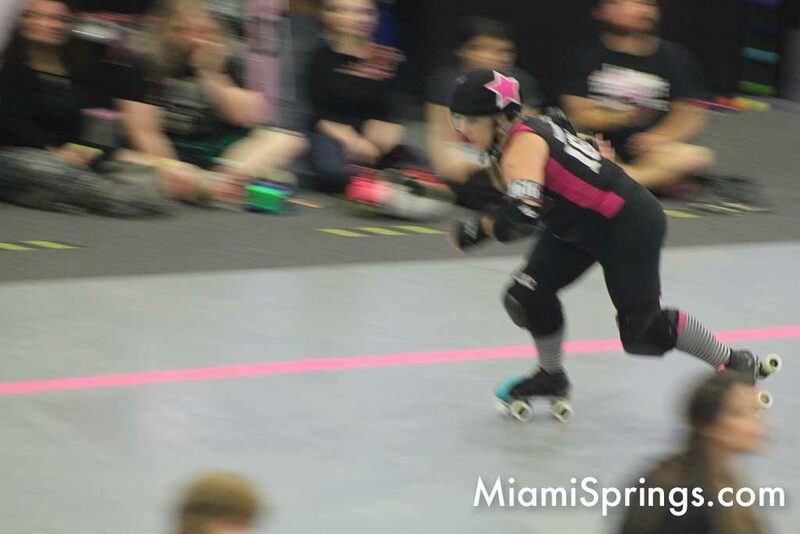 The speed is awesome. 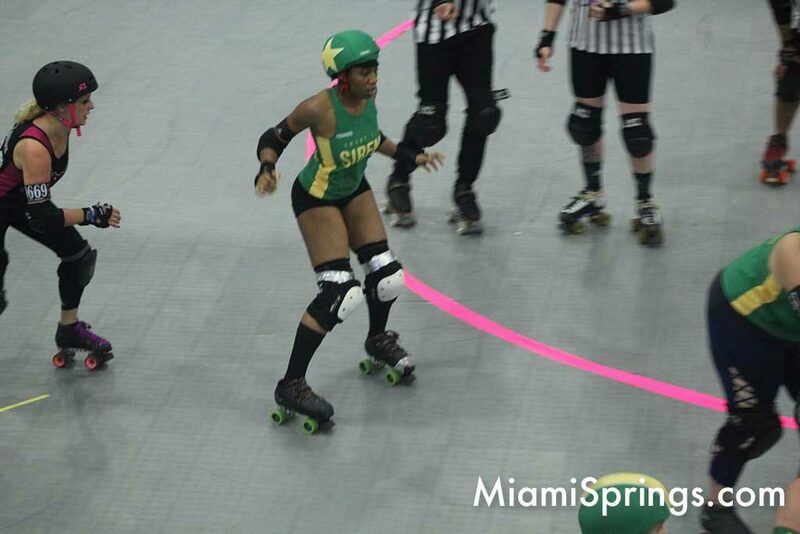 The athleticism was great. 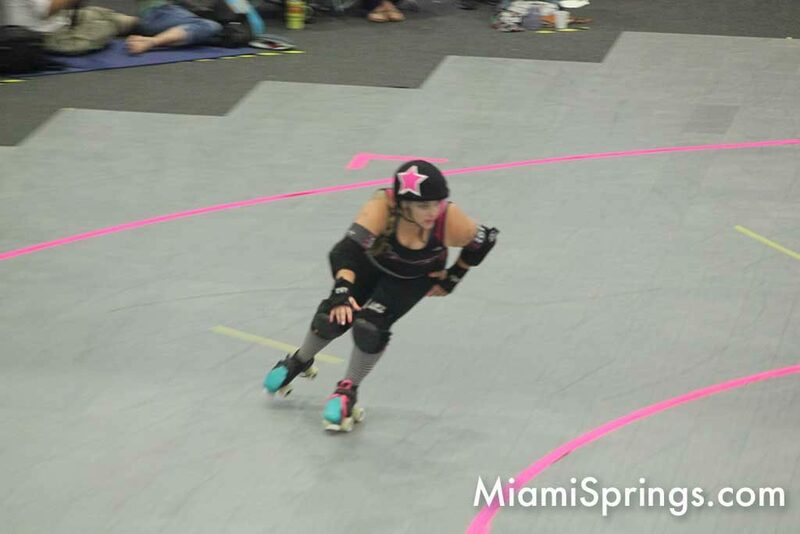 And great moves were cheered with roars from the crowd. 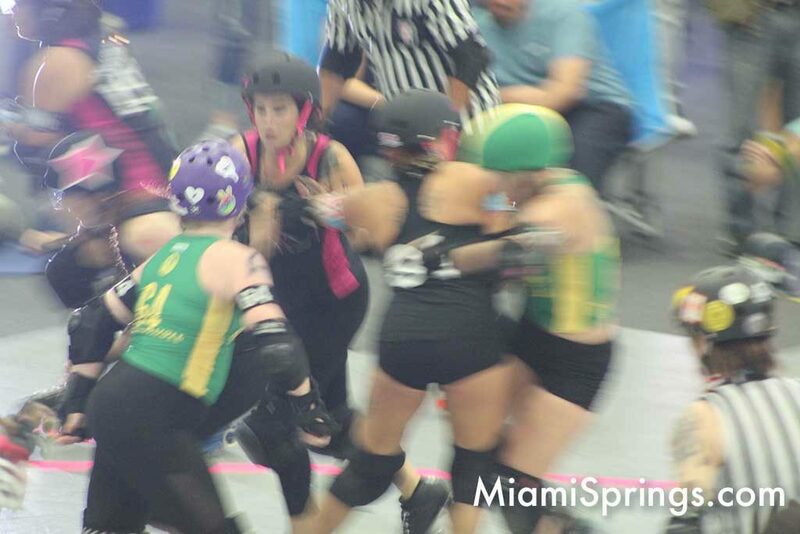 If you’re like me and had only ever watched a roller derby match on television, you’ll appreciate the difference in seeing the fast paced action in person. 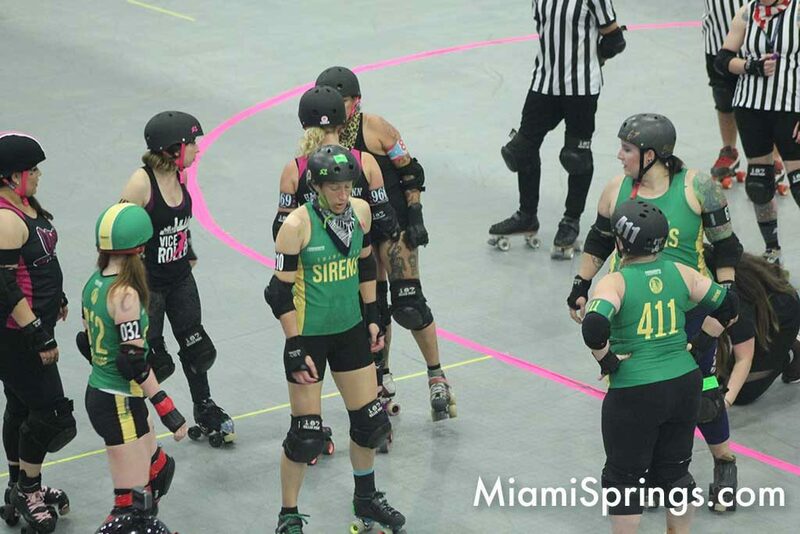 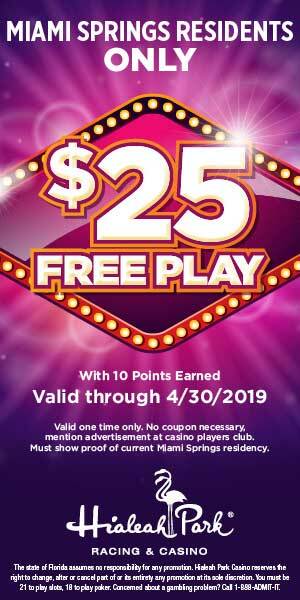 The next game is April 6th at the Rec Center. 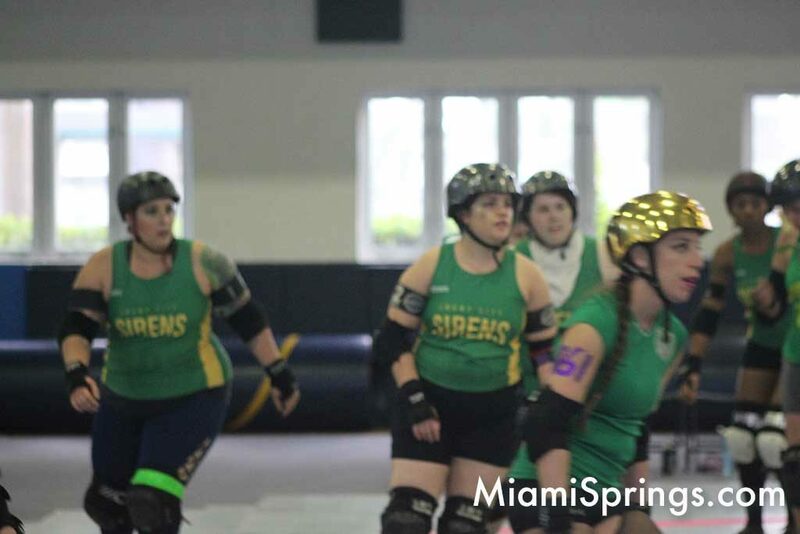 Enjoy some of the pics we took at Satuday’s Miami Vice City Rollers match against the Gainesville Swamp City Sirens.